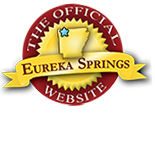 If you are looking for a fun and affordable adventure this spring break, look not further than Eureka Springs, Arkansas. This historic Victorian village offers fun for the whole family. Check out these great Eureka Springs Attractions that are sure to make this Spring Break the best your family has ever had! This entry was posted on February 17, 2016 by service424 in Attractions, Crescent Hotel, Eureka Springs Lodging, Family Fun, Ghosts, Things to Do, Weekday Getaway and tagged adventure, arkansas spring break break, Bear MOuntain Riding Stable and Dude Ranch, Cosmic Cavern, Eureka Springs, Family, Kids, Ozark Mountain Ziplines, Rocking Z Ranch, spring break, Turpentine Creek Wildlife Refuge, Vacation.